British Nail Bloggers task: "What treatments do you use for your nails?" Every now and then The British Nail Bloggers unite to do the same post and link each other to their blogs. I'm just in time to add mine here, and I'm hoping its not going to be too long or boring! I know the importance of looking after your nails, cuticles and the hand. I will admit to changing and swapping to see if i can find one better than I've tried, so there will be a few names mentioned!! As said, i do change about allot with products! 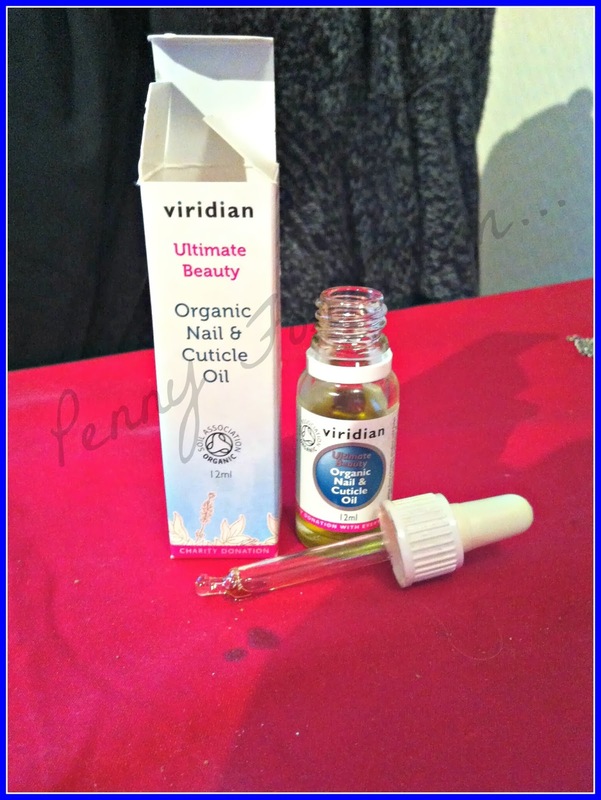 At the moment, and in fact for the past 3 or 4 months, I've used Viridian Organic Nail & Cuticle Oil which costs £12.95 direct from Viridian. Its a really nice oil. Not too much is needed, so its lasting ages. I rub it all in my cuticles and around the nail and then the nail itself. It dries quick with no oily residue afterwards and has a nice scent - must all be why I'm quite happy with this one at the moment!! Ive tried the OPI Nail Envy, which has been raved about, but sadly didn't suit me and didn't do anything to help! So i asked for alternatives and was given a couple of names - the one i went with was Duri Rejuvacote Nail Growth System (link takes you to Amazon where a 15ml bottle is at £12.42 as time of writing). This is only a little bit pricier than the OPI but i have found it fantastic. It HAS strengthened my nails and i have no where near as many break as i did with the OPI. I do have ones called "Nail Eat & Drink" on their way to me which ill be trying, but so far, I've found the Duri to be the one best for me. I liked Nails Inc base coat, that one went well on me. Ive tried the OPI Natural Base Coat - again, worked fine! There isn't really a base coat I've tried that hasn't done the job its supposed to do. I also liked the Poshe Base coat and (top coat to match) may well go back to that one. 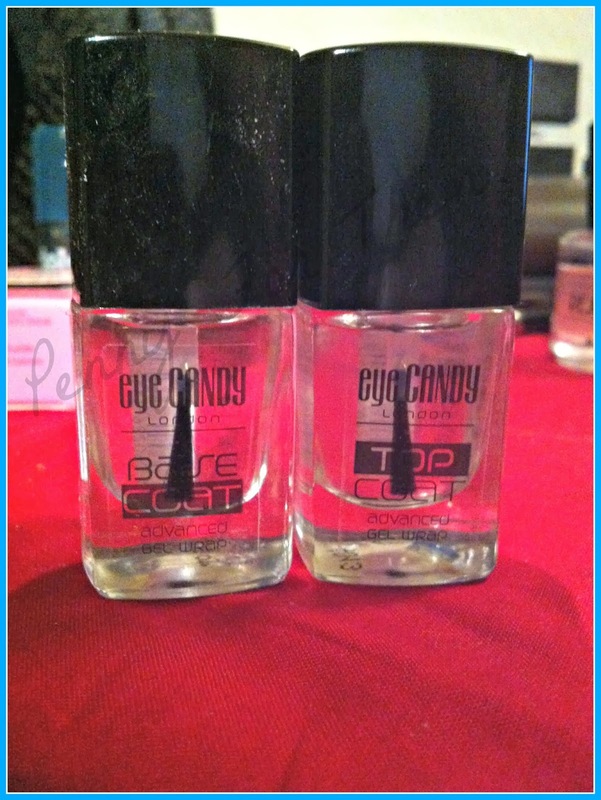 At the moment though, i found some Eye Candy Gel Wrap Base Coat (and top Coat) and wanted to try it. The base coat is very thick, dries very shiny, and the polish applies very easily, so so far so good! And yep, no different i change this regularly too! I like a really nice glossy finish on my nails. Ive tried NI Kensington Caviar, which was OK but not glossy enough for me! I then tried Gelous, which was a great top coat but took a while to dry. Next up was the Poshe top coat, which is brilliant - a good price, dries quickly and leaves a great glossy coat. Then i had a recommendation of Glisten & Glow's HK Top Coat by allot of people and this i haven't (yet!) tried! My last mani i tried Eye Candy Gel wrap system (the second half of the base coat previously mentioned). It doesn't dry quickly, but the gloss is lovely and its a thick coat, so helps protect against chips! A nice hand cream is brilliant. For the past few months I've been using the L'Occitane ones that came free with a magazine a couple of months ago and i picked a few up. At Christmas i got some gorgeous ones from the Body shop and am currently using the heavenly Ginger Sparkle one. I prefer hand creams that moisturise but absorb quickly leaving your hands feeling soft. Most do this, but the one I've found that didn't was from Poundland and a hand cream from Mellor & Russell with macadamia oil - it was greasy and didn't absorb very well, so i guess the saying goes - you get what you pay for, fits in well here!! Not sure whether any of that helped, but i guess if i could stick to one that suits me, and theres been plenty, but i like to try new ones out! Maybe the greasy hand cream would be good for over night, I still don't know if I could sleep with gloves on though!